Blog Hop and Day 18 of the 30 Days of Christmas! Today we are celebrating two-fold! It is November 1st, and we are celebrating the final release of the year for Technique Junkies stamps with a blog hop. 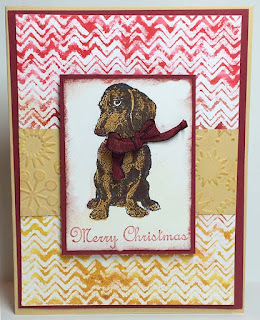 In addition, it is Day 18 of the 30 Days of Christmas -- and I am using some of the new releases to celebrate! 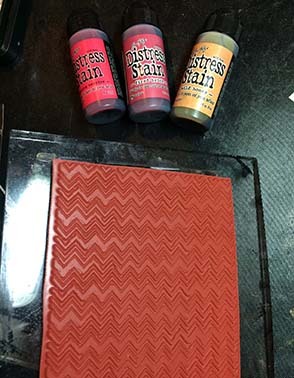 The first color was applied to the top 1/3 of the stamp, directly to the rubber. 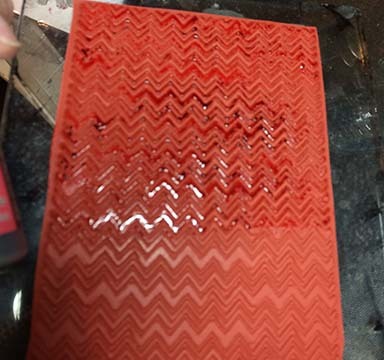 The next color was applied to the center portion, direct to stamp. 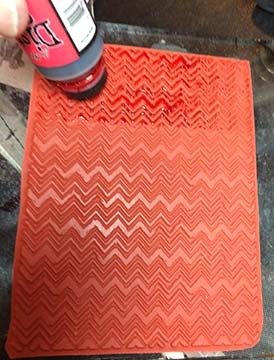 The final color was added to the bottom 1/3 of the stamp. 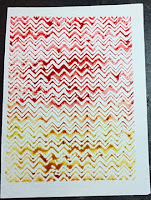 Spray the stamp lightly with water and stamp onto watercolor paper. 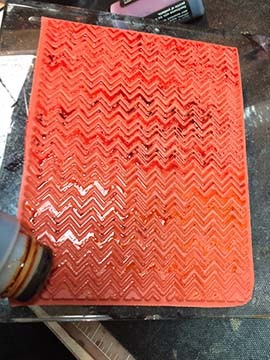 Use a heat tool to dry piece fully. 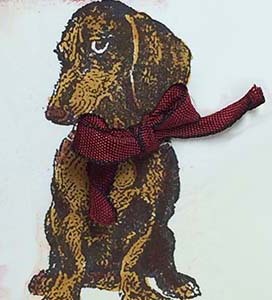 The focal point of the stamp is a new November stamp called Doxie's Guilt Trip. I just think it is the cutest stamp! I added a ribbon around Doxie's neck and added the Merry Christmas 2 stamp so the Doxie can help us celebrate the season! Don't forget that the Christmas sale has been extended to November 12th -- 20% off all Christmas stamps! Use the word Christmas at checkout for your discount. I hope you have enjoyed the hop today. 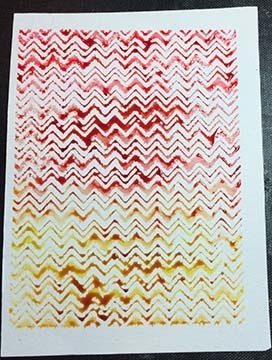 Don't forget to go to the Technique Junkies website to get your 15% off of the November stamps!